Telling the public that you’re closing your dairy is one thing. Actually getting out of farming—quite another. Farming is not simply an occupation. It’s a lifestyle. Farmers don’t just work. They pour every cell of their being into the soil, their animals and their crops, from sun-up to sundown—and often long past then. One doesn’t just give that up. Our life “after” farming? We still have more than 20 livestock (goats, sheep, llama) on our farm. They still need care, food and water twice daily, supplements, hoof trimming, shelter, fence mending, attention. Only now I’m working off the farm with a vengeance as well as taking care of our farm. 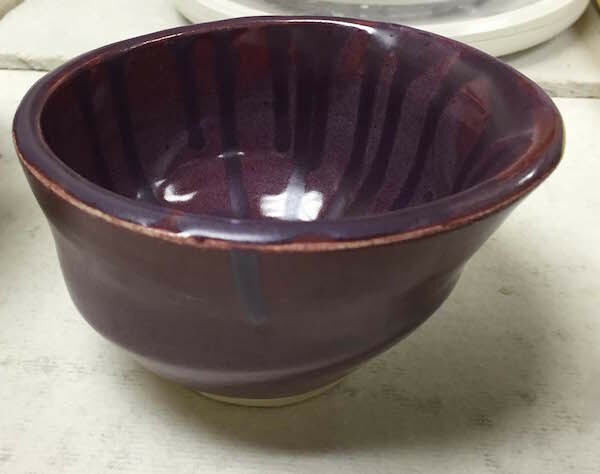 However, the closing of the dairy allowed me enough time to take a “clay class” in October and November of 2015 and to uncover a newfound passion for playing with a new type of mud or, to be more precise, clay. 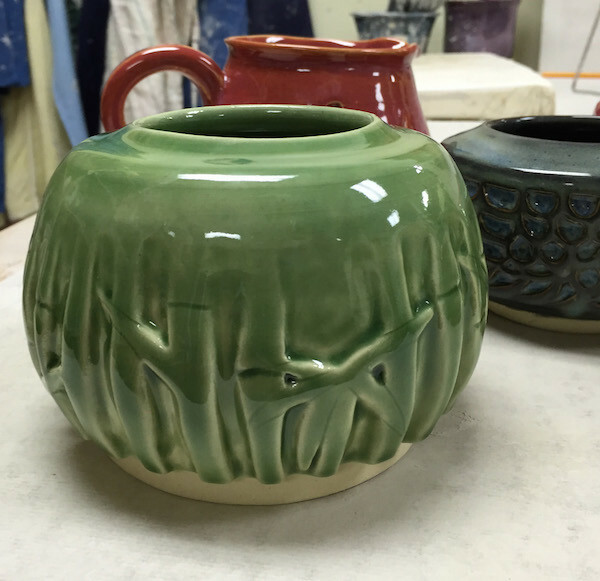 Ooh la la… let me tell you about pottery! Better yet, let me show you. So, life after farming? I don’t know yet. It’s in my blood… I’m not anxious to close the barn door. I’m grateful I was led to a place like The Paint Escape to land, to soothe me after the heart-wrenching decision to close our dairy. It kept me distracted and offered me comfort in a safe, supportive, creative and fun environment. I’m heartbroken that this place had to be lost to our community. The loss, while still raw from the pain of shuttering our own business, felt personal and it hurt. Yet a new spark of joy has hit. One of the tenacious previous owners of The Paint Escape, Tina Beard, is committed to opening a new business: her business, her vision and—if you asked her—the fulfillment of her “calling,” to create this space for the community. 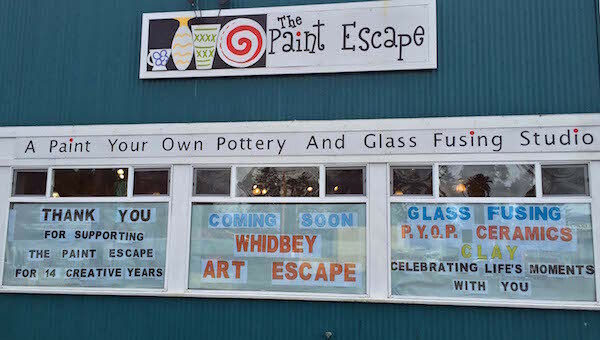 Whidbey Art Escape will be so much more than what started as a paint-your-own-pottery spot in Freeland. 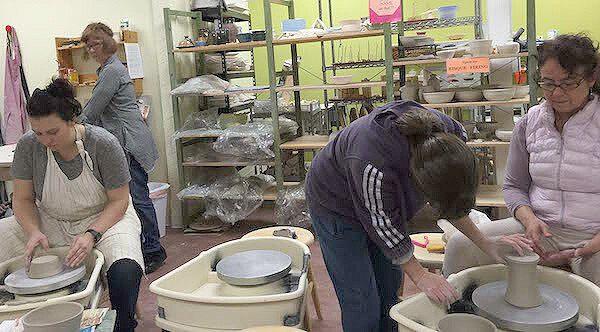 It will be bursting at the seams with its delightful, brightly windowed studio for painting bisque-ware in delightful and useful shapes, a fun Glass Escape Studio for glasswork and, of course, the rather large Clay Escape Studio—now with eight wheels, a pug mill, a slab roller and beautiful space for handwork, carving and glazing fun. 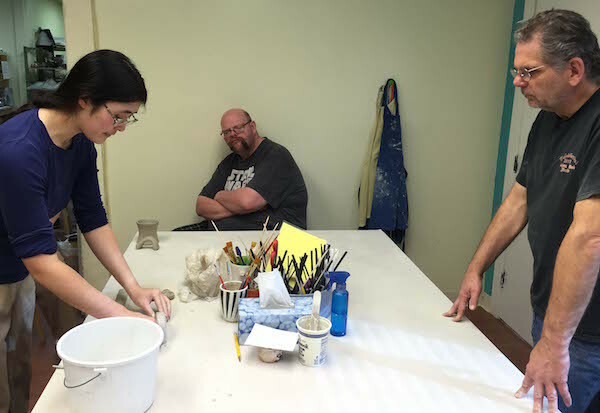 There will be classes going on; top talent from our community will provide up to three group classes a week, with even more one-on-one “experience” classes. If you’re ever wondering about it, come on by when they open (tentatively March, 2016). 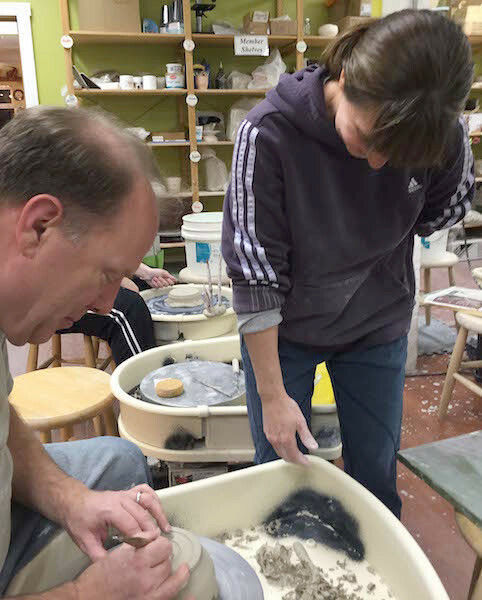 If I’m not at work, I’ll probably be there—throwing a pot, or carving, or glazing, or maybe just having a cup of coffee with my new studio-mates and friends. Odds are, we’ll be laughing and sharing joy. You’re welcome to come get your dose; we’d love to see you. 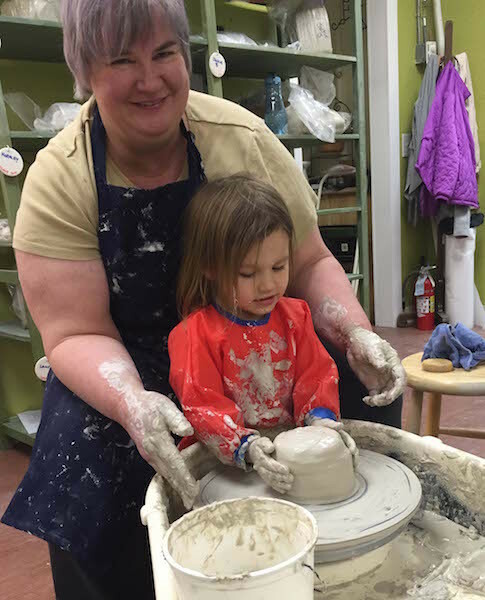 A gang of us, creating fun at Whidbey Art Escape, is even forming our own group. (A business that has its own groupies is probably a good thing, right?) Our little gang, The Escapees, are creating and learning and playing and will be soon offering our unique handmade objects to the public. Stay tuned. I promise to keep you posted. 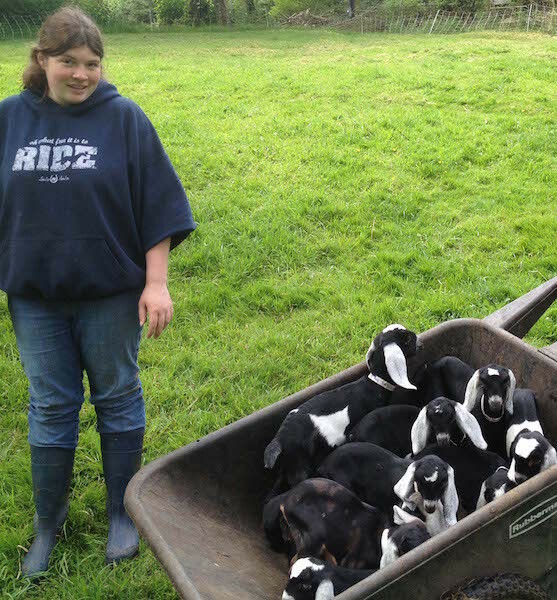 So, while I still miss my bucket of baby goats with a very real ache in my heart, as part of my first gang—the Escapees—I know that love is not limited to one thing. I’m quite certain that the more we love, the larger our heart swells to accommodate it. In the arena of passion, certainly less will never be more. Thank you for your support along my journey. 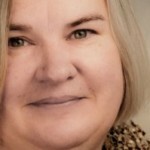 Vicky Brown (still a “farmer,” even if she’s milking less often), puts her passions on the page writing about food, agriculture and the tender web of community. 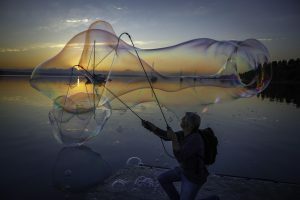 Nice piece about transitions. Thanks for highlighting the wonderful people like Sharon and Tina…and yourself. Lovely piece. I feel your angst at closing your farm and your joy in discovering a new creative venture…transitions indeed and well done. Kudos to you for living a life of passions. Thank you for the inspiration.